The FXB Group has invested heavily in state-of-the-art machinery which has completely revolutionized the traditional production process. This has enabled the Group to become a pioneer in the local industry and has helped it to gain access to important export markets. The first factory built in Gozo during the 1970’s has been extended to twice its original size. The production capacity of the group was further enhanced in 1990 when a new factory was built at the Xewkija Industrial Estate in Gozo. Meanwhile another manufacturing plant were acquired at the San Gwann Industrial Estate in Malta. As a result of recent restructuring exercises which the various companies of the Group have embarked upon, FXB has increased its areas of specialization paving the way for higher efficiencies on the shop floors. This has led to the development of new products where flexibility in the production stages has given the edge over competition in new export markets. 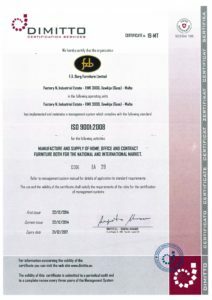 This standard refers to the Quality Management Systems (QMS) implemented by the company. 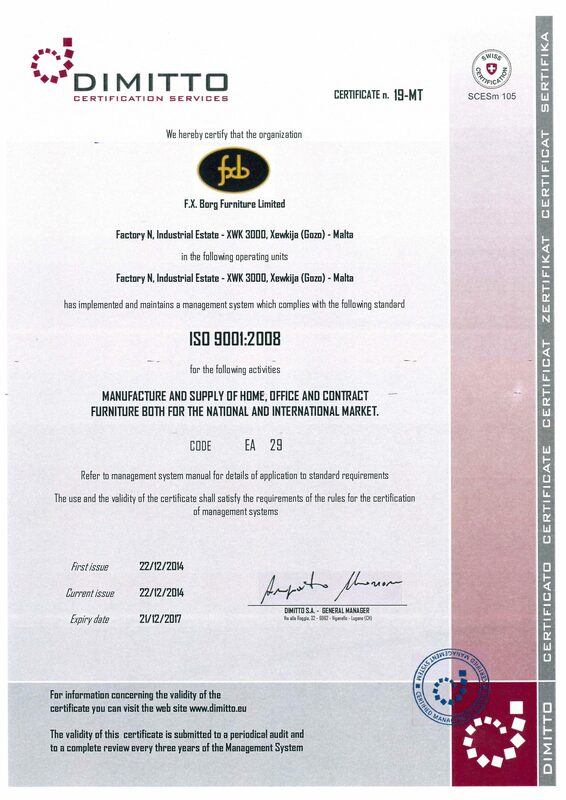 As a result, F. X. Borg Furniture Ltd ensures that its products being manufactured satisfy customers’ quality requirements and comply with the regulations applicable. The company makes sure to embody these standards by enhancing customer satisfaction and thus attain outstanding performance. 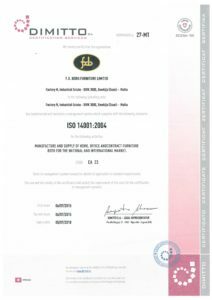 This standard refers to the Environmental Management System (EMS) implemented by the company. 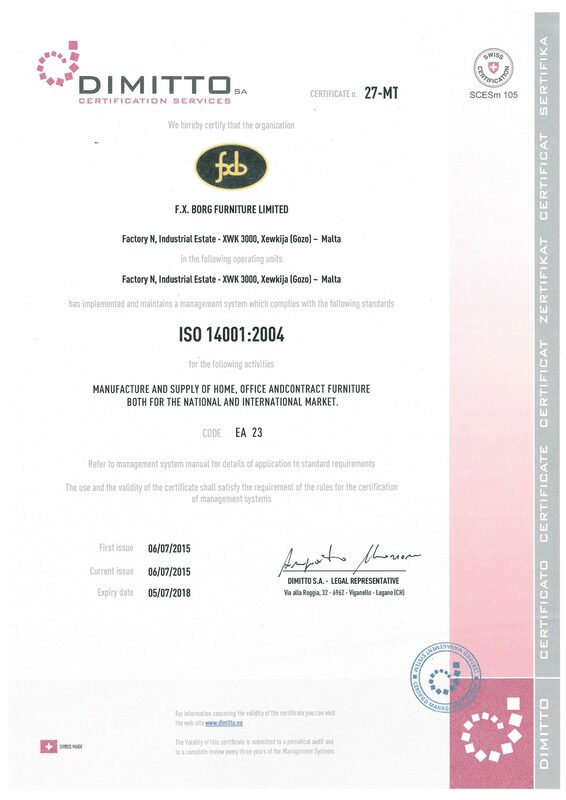 F. X. Borg Furniture Ltd not only safeguards the environment by taking all the necessary actions to minimise harmful effects on the environment, but also conforms to applicable environmental regulatory requirements. The ultimate objective is the manufacturing of outstanding products with the slightest impact on its environmental surroundings.